[prMac.com] Vancouver, Canada - The PaigeeWorld Halloween Coloring Contest is on now until October 31st. Halloween is approaching and PaigeeWorld is transforming to a spooky realm of Halloween imagery. It seems like all of the PaigeeWorld characters are transforming, and the entire community is joining in the fun to make the season come alive! This years contest is a Halloween Coloring Book. You could win a Nintendo Switch, Mario Kart 8 Deluxe or one of over 60 additional prizes! PaigeeWorld artists from around the world have contributed coloring pages for the community to color. Pick your favorite coloring page and start coloring! You can enter the contest up to 3 times per day, with as many different coloring pages that you want! The more you enter, the more chances you have to win! This year you do not have to submit an entry to win. PaigeeWorld will be announcing a winner DAILY to someone that leaves a comment on a contest entry. One entry will be selected randomly each day in October to win a participation prize. Next, one member will be selected from all comments on that entry to win the "COMMENTING PRIZE". This will be the first time on PaigeeWorld that members can win a prize just for leaving a comment! 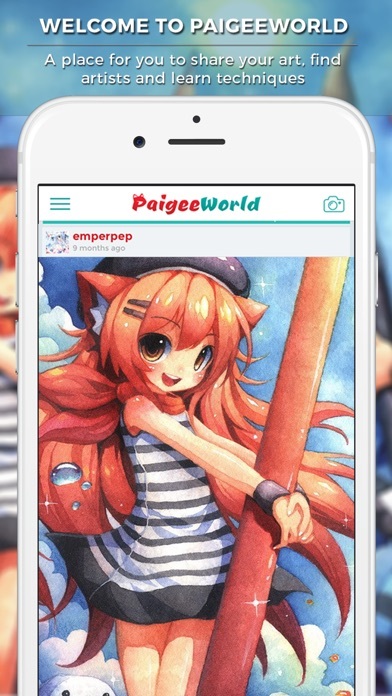 PaigeeWorld is where artists come together, share their artwork, and make new friends. This year the PaigeeWorld Halloween Contest will help spread the word about PaigeeWorld, and our amazing artists! The community can optionally score extra points for their entries by posting the blank line art they selected on sites around the internet. This will help others find out about PaigeeWorld and the Halloween Contest, and also showcase the art of PaigeeWorld artists that helped create the line art for this contest. The Halloween contest has prizes every day! One member will be selected each day to win the daily participation prize. The daily winner will be selected based on participation for the contest day. With every entry to the contest the individual who has submitted a drawing will get a number of "Entries" for the daily and grand prizes. Make sure you get the most points you can for each entry. Help others receive points by leaving them comments and likes. Every person that leaves a comment on your entry gets a chance to win the secondary prize if your entry is selected as a daily winner! You can enter up to 3 times per day. You daily entry qualifies you for the daily prize. All of your entries are entered into the Grand Prize draw. Help your teammates by leaving likes and comments. If you are a PaigeePlus member, use your Shout Outs to help members of your team get noticed. Download our award winning PaigeeWorld iOS application today to get started. 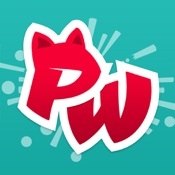 PaigeeWorld is a 5 star application with over 20000 worldwide ratings. PaigeeWorld 3.4 is Free (with in-app purchases) and available worldwide exclusively through the App Store in the Social Networking category. For more information, please contact Preston Rohrick. PaigeeDraw Inc. is an independent software development company formed by Paige Rohrick. Paige started PaigeeWorld in 2012 and since then has helped over half a million artists find a home for their art, improve their skills through tutorials and make friends from around the world. Copyright (C) 2017 PaigeeDraw Inc. All Rights Reserved. Apple, the Apple logo, iPhone, iPod and iPad are registered trademarks of Apple Inc. in the U.S. and/or other countries.